In this blog, the experts at Expand Furniture share key reasons to use an expanding table to solve your dining space issues. 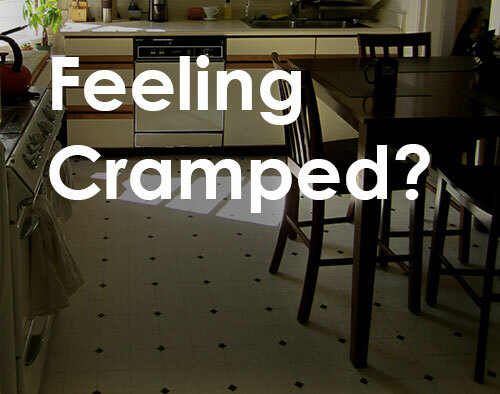 Most of us feel like we don’t have enough space in our homes. It seems the more space we have, the more stuff we fill it with. If you live in a small home or apartment, you may actually be dealing with a smaller space and will have to get creative with your decorating and furniture placement to make the most of it. Many people buy a larger dining room table because they anticipate large gatherings, such as family dinners at the holidays or dinner parties. However, the larger table goes unused for everyday dining. Instead, it just takes up a big space in the dining room. By investing in an expanding dining room table, you can accommodate both daily dining and formal dining with larger groups. For your everyday meals, the table will be big enough to seat you and your family. You can buy smaller tables that seat anywhere from one to four people. 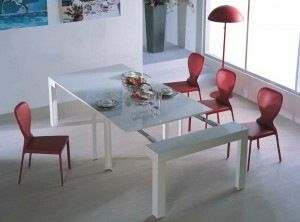 The table can then expand to seat up to 10 people. You just pull it out and add leaves. You may be dealing with a cramped dining room space because you have other furniture in it, such as a china hutch or a buffet. Instead of bumping into the furniture as you try to maneuver around the space, you can get your dining room table out of the way when you don’t need it. For example, a space saving table can function like a side table during the day then convert to a full dining table at night. By using the table only when you are dining, you can clear up more space during the day. Maybe you don’t have a dedicated dining space at all, so finding a place for a dining table becomes difficult. With space saving furniture, you can make a room do double duty and make the space for a dining table. For example, the surface of a coffee table can raise to turn into a dining space. Or a small desk can pull out to become a larger dining table. You don’t have to live with a cluttered space that doesn’t allow you to have the experience you want in your own home. Expand Furniture sells a variety of expanding dining room tables that can help you get more out of your space. Whether you have a small home or you just have a lot of clutter, using a space saving table can help you reduce the area that your furniture takes up without limiting what you can do in that space. Explore our catalog to find tables that transform from side tables, coffee tables and desks into full dining tables that can seat as many as 10 people.